Today is Memorial Day. With roots back to the Civil War, this day is more than a three day weekend and a trip to the beach. 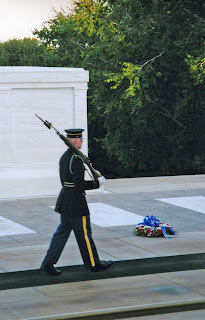 It is a day to honor and remember those who paid the price for the rest of us to have the freedom to do things like taking trips to the beach and barbequeing with the family. 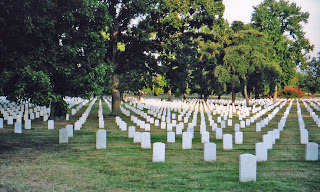 I was fortunate to have the opportunity to visit Arlington Cemetary and all of the Memorials in D.C. in 2005. It was a very sobering experience. While researching for this post, I came across this very eloquent post. I couldn't express it better, so visit Mueller's blog and reflect on today's true meaning.